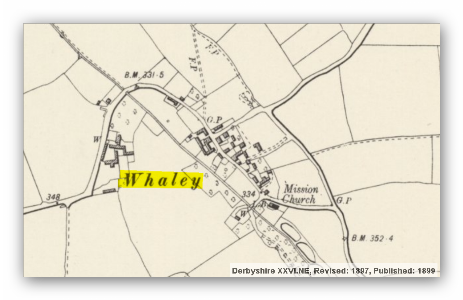 Whaley is a small village in Derbyshire, England, located one mile from Whaley Thorns, 1½ miles from Elmton, 1½ miles from Langwith and 2½ miles from Bolsover (where the population is included). 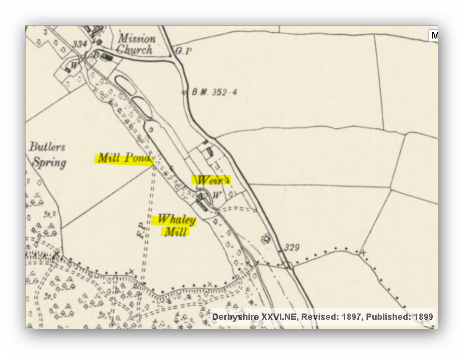 The village has a pub (now a house), garage and a former watermill, now a home, of which the large mill pond still survives. Set in arable farmland, the village was a farming settlement, and remains so to this day with several farming families living in the village. The Diocese of Derby archives record that there was an ancient chapel in the village, but no traces of that remain. A school, known as St Mary's Mission, and school house were built in the 1860s but both these are now residential. There are three pre-historic rock shelters behind the former school, on Magg Lane and opposite the pub, the Black Horse. 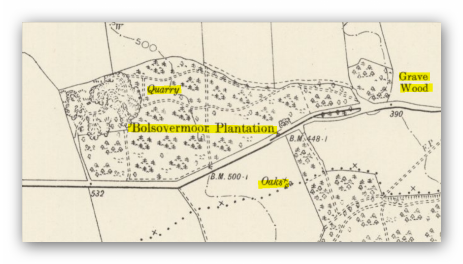 These are linked to the Creswell Crags. Scarcliffe Park, an area of woodland to the south end of the village, has Bronze Age and Roman remains. It is surrounded by a Pale ditch. The village is a Conservation Area and has an active residents' association. The majority of the buildings are constructed from the local limestone. The Waterworks on Whaley Moor featured in Channel 4 series, Grand Designs. Black Horse, (Hotels & Inns). Richard Keeton, Lay Reader, Mission House. Robert Armstrong, Farmer, Burnt Lees Whitwell. Whaley Thorns, a colliery village of 205 miners cottages. Mission Church, built in 1880. Board School & several shops..